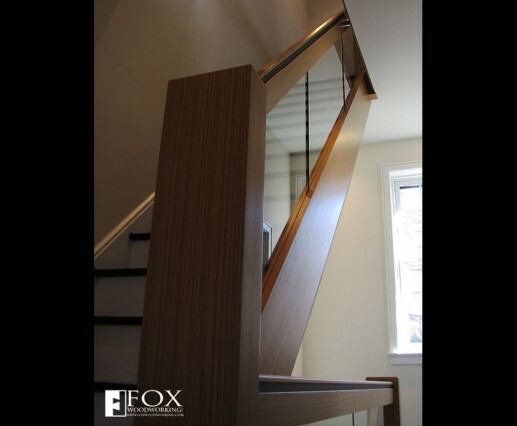 This teak stair rail runs up to the third floor of this Center City Philadelphia home. 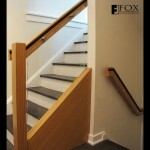 The tall newel post in the foreground results from the winding treads at the base of this flight of stairs. 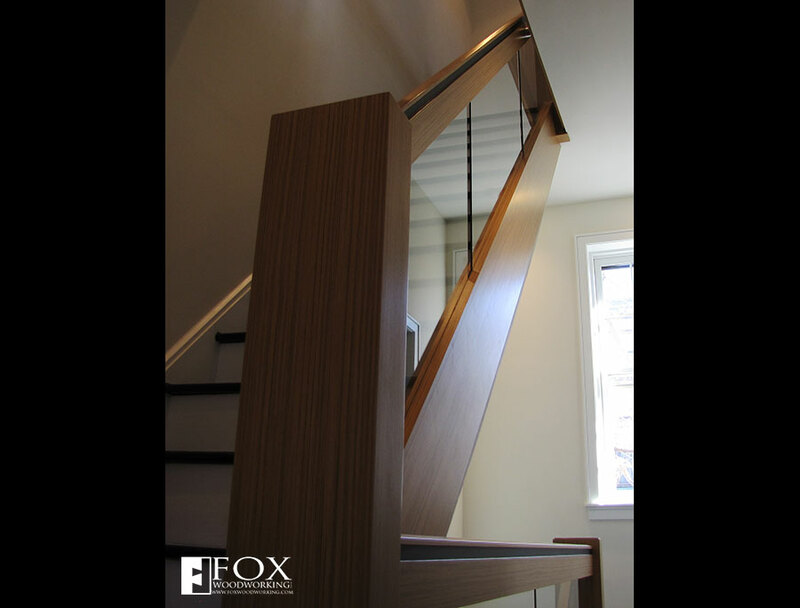 Rather than rebuild the old stairs completely, we removed the old hand rails and built these solid wood rails, newel posts, and skirtboards and covered them with man-made quarter-sawn teak veneer from Brookside Veneers. 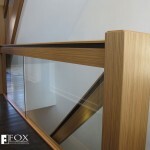 In lieu of balusters, we used tempered glass panels which help create an open, light feel.